We rent a beautiful home in southern Arizona. It really is our dream home. The bad part about renting though is the paint color. You get what you get. Ours walls are a very boring tan color. EVERY wall in our house is a boring tan. We got sick of looking at boring tan. We had enough. 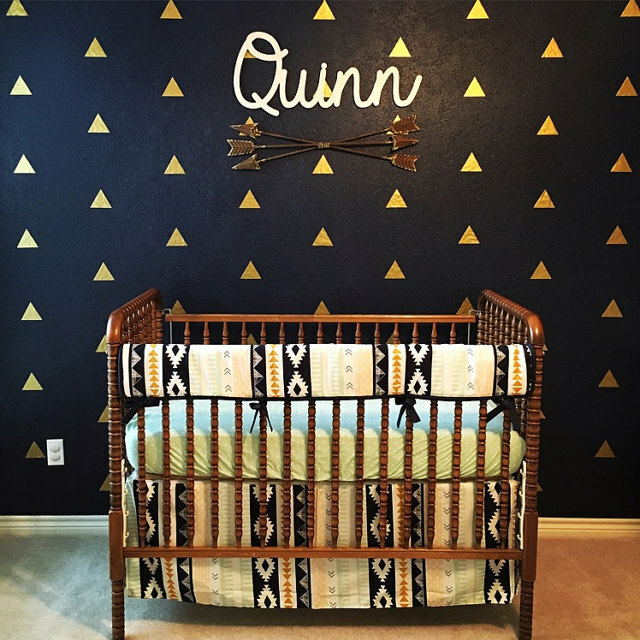 Our triangle decals were born. 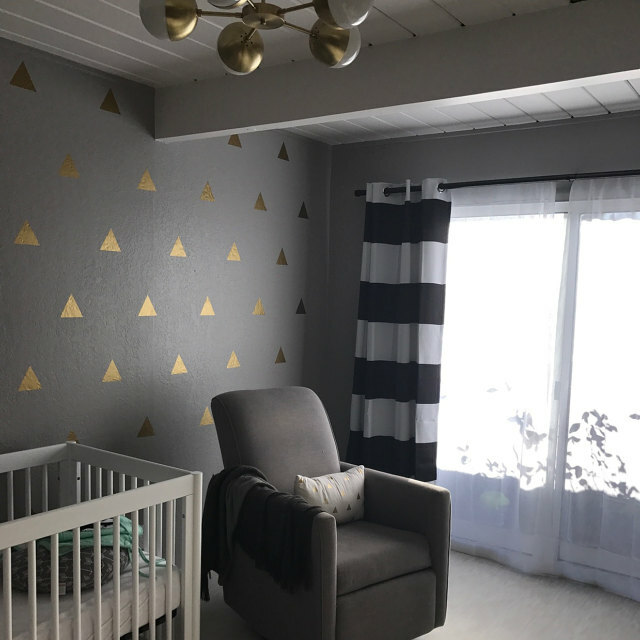 We were able to create an accent wall in our front room without painting. It literally changed the look of the whole house. We started getting comments from literally everyone that came into our home. It finally felt like it was OUR home. That was about two years ago. 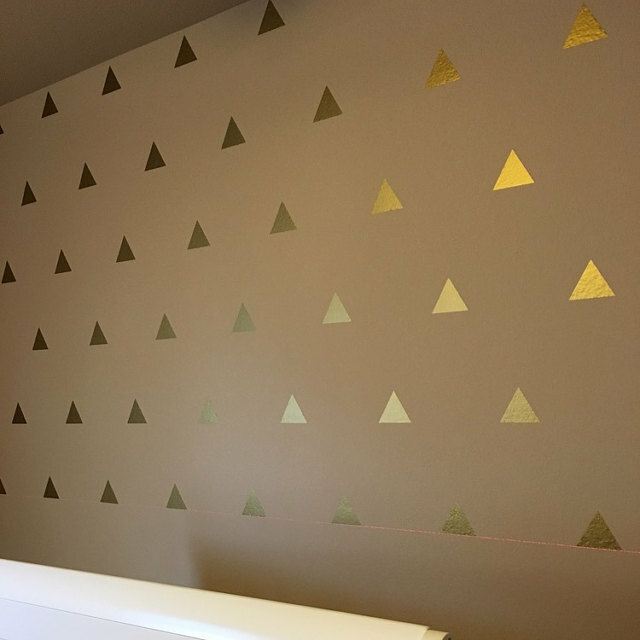 We immediately added the triangle decals to our shop. They immediately became our top selling product. By far, and with good reason. 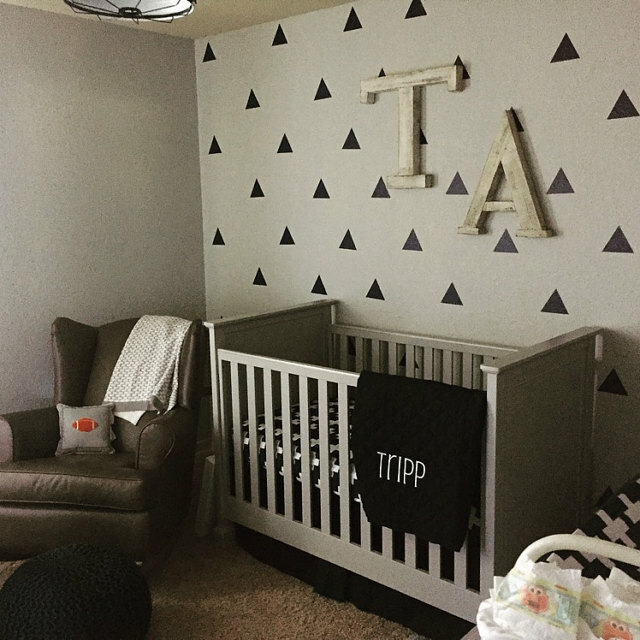 These triangles look awesome (check out some pictures our customers have sent in below). 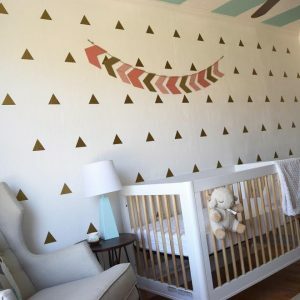 The matte finish makes the triangles look like they are hand painted. 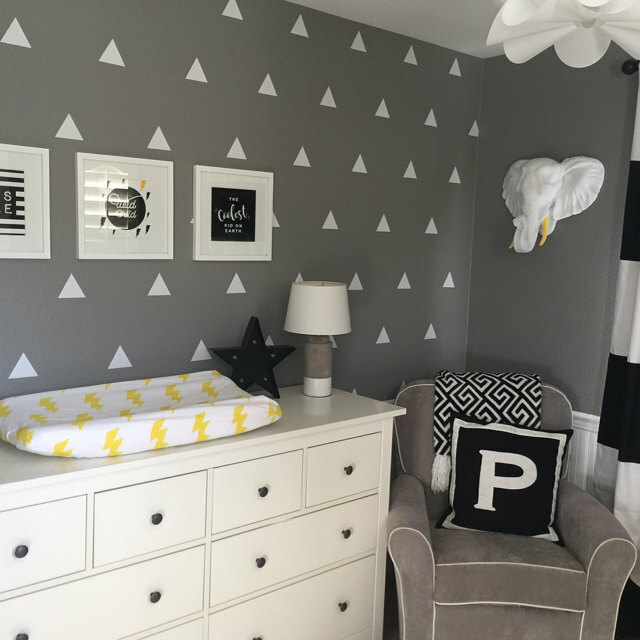 The thinness of the decals make them mold to the slight texture of your walls. 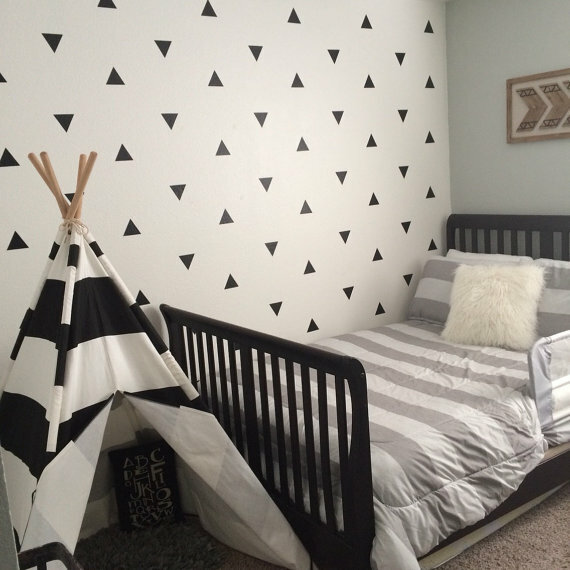 These vinyl triangle decals are all about design bang for your buck. Our set comes with 99 triangles. That’s enough to cover a pretty decent sized wall (if you have any concerns about it being enough send us a message and we’ll help you plan it out). 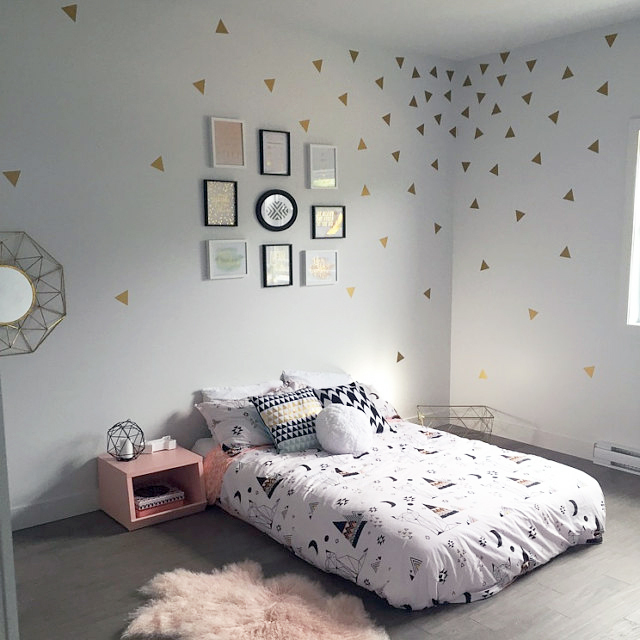 Are you a renter like us? 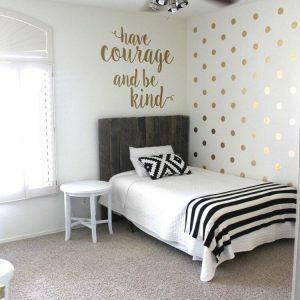 Or are you the type of person that likes to change the look of your home really often? 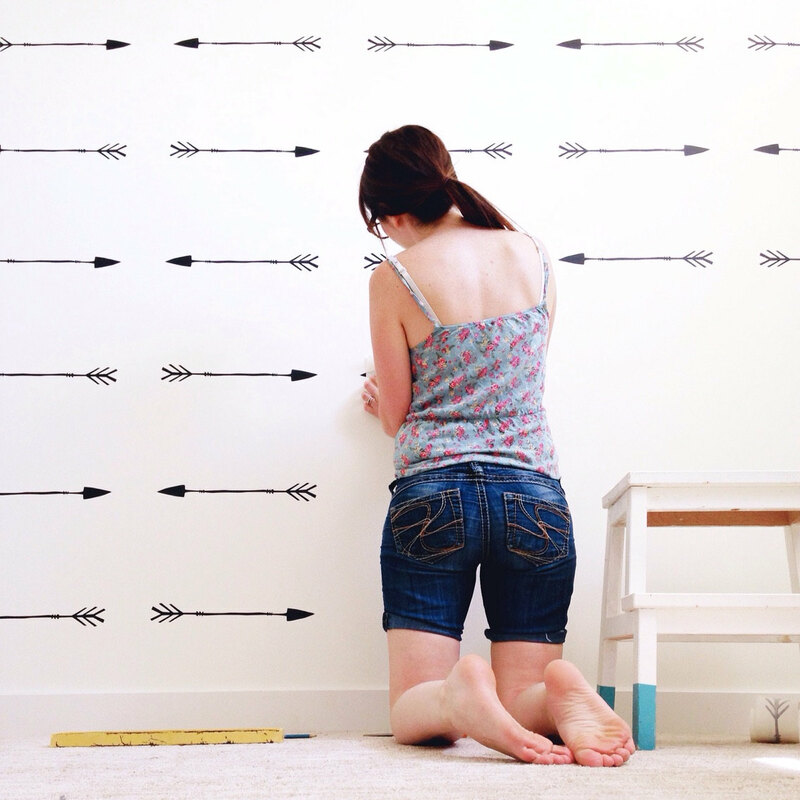 Don’t worry, these decals go up fairly quickly and won’t damage your walls. They also won’t leave a sticky residue. 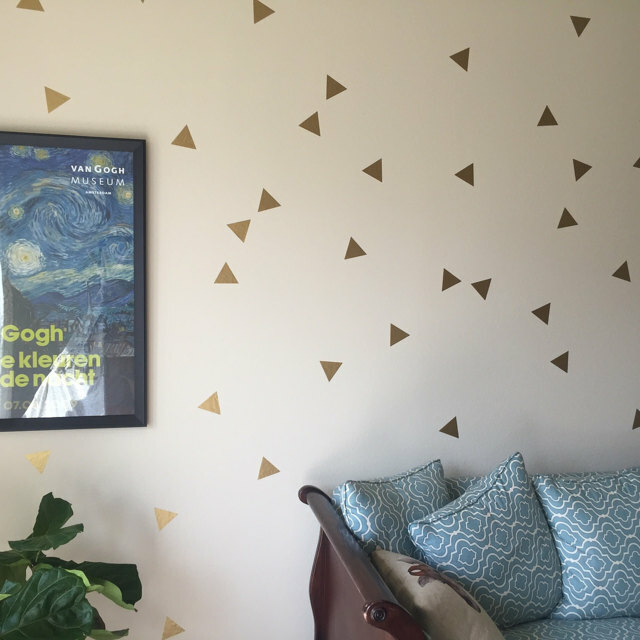 We tried a bunch of different brands and found the vinyl with the best adhesive. The stick lasts a LONG time but come off easy. Worried about putting them on right? No problem. 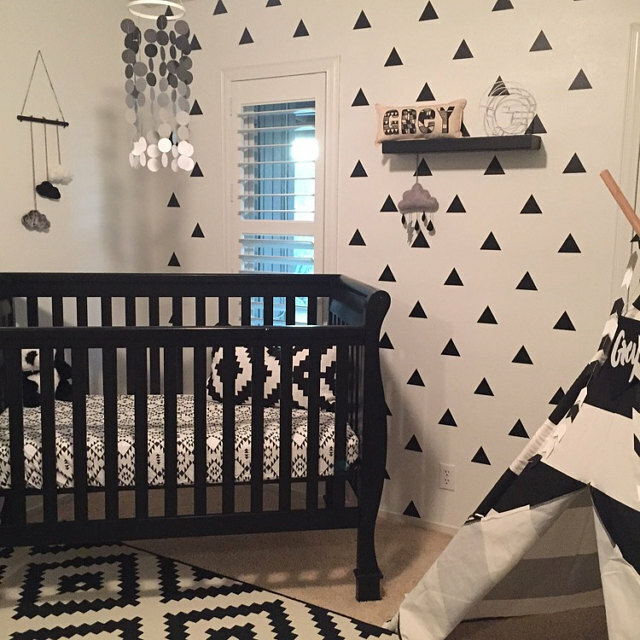 We include step by step instructions that will guide you through the process. If you still have questions or concerns, feel free to contact us through email or our chat below. It is easy and you’ll get it the hang of it fast and we can help walk you through it if you need us.